Now a free service, Google Express offers overnight delivery to about 90 percent of the continental U.S.
On-demand personal shopping services are becoming more popular as a result of our busy lives as well as improvements in local delivery networks, with Amazon Prime Now and AmazonFresh dominating in most metropolitan areas. But Google Express is also trying its hand at same-day delivery service, moving in on Amazon's territory with a $25 minimum order requirement for free shipping (depending on the store) and an ever-increasing list of popular retailers like Walmart, Costco, Target, Kohl's, and more. But is it enough to dethrone Amazon, which just added Whole Foods to its Prime Now service? 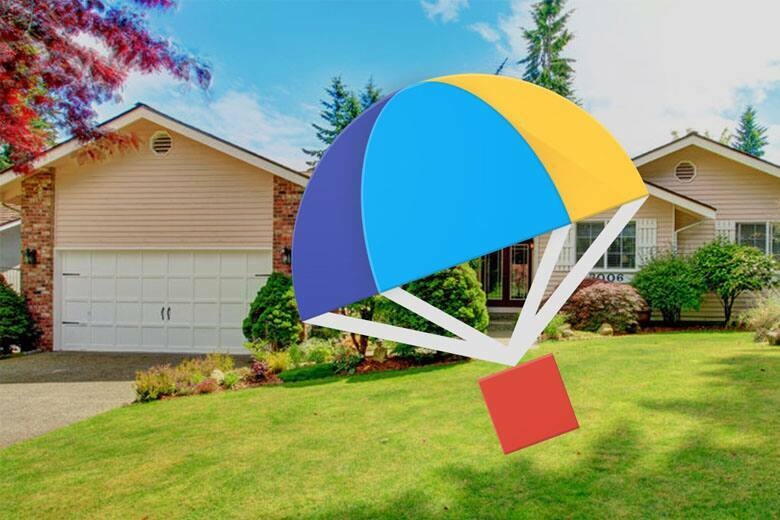 Keep reading for a hands-on review of Google Express. Google Express is a shopping app and website that offers same-day, overnight, or 2-day delivery from a variety of popular stores. Of course, your city of residence will affect retailer and delivery day availability — orders may arrive by the end of the day or up to three days later. Google Express now serves about 90 percent of the continental U.S. after a big expansion in late 2016, with most stores offering overnight shipping. Visit google.com/express and enter your zip code to see if the service is available in your area. While Google Express offers an eclectic mix of stores — up to 49 now for the Los Angeles area — the products available for purchase from each retailer is limited to non-perishable items. Product categories range from groceries to apparel to electronics, and more, all from trusted and established retail chains. To stay competitive with other shopping apps and services, Google Express has removed its membership system, which previously lowered the free shipping minimum order requirement to $15 for members. Now, everyone needs to meet a $25 or $35 cart value (depending on store) to qualify for free shipping; else, a $4.99 "small-order service fee" is imposed. Plus, through April 28th, 2019, new Google Express customers can get 20% off their first order when they use the promo code APRSAVE19 at checkout. If you're ordering from different stores, say Kohl's and Home Depot, you'll need to meet the minimum cart value for each store in order to receive free shipping on your entire order, as well as go through separate checkout processes for each store. In my opinion, this is a less-than-ideal shopping experience, and makes it seem like Google Express is merely a shopping agent, and not an actual distributor. Curious to try the service for yourself? Visit Slickdeals's Google Express Promo Codes & Coupons page for up to 20% off your first order. You may also want to set a Deal Alert for Google Express to take advantage of promotional credit, like $15 to Target for Google Home device owners. Since I'm already well-integrated into Google's ecosystem, getting started with Google Express was a breeze — transactions are handled via Google Pay, and my shipping information was automatically imported. There was only one problem: I couldn't find anything I wanted to buy. The usual grocery items that need to be replenished — milk, eggs, butter, etc — aren't available on Google Express because they won't survive an overnight trip, leaving me to only browse through superfluous items like snacks, sweets, and sodas. I was disappointed that Google Express couldn't be my one-stop shop for everyday groceries. And while it's nice to quickly search and shop from 49 different stores at once, it's just as easy to go to each respective store's online marketplace and score free shipping directly from the source with promo codes or Shoprunner. Google Express does allow you to add loyalty programs like Kohl's Yes2You Rewards or Walgreens' Balance Rewards, but it lacks the ability to use manufacturer coupons or store-specific promo codes — the exception is Costco, where monthly coupons are automatically applied. As far as product pricing is concerned, it seems like Google Express is on-par with what each retailer is offering on its own site or in stores. There's also a dedicated deals section where you can shop sales by category, price, or store. Should You Use Google Express? For now, Google Express seems like another in-development product from the search engine giant, and is a fun experiment for the usual band of early-adopters. Because the service sacrificed fresh produce selection in exchange for geographical reach, Google Express seems like an occasional time-saving alternative for those who don't live in areas with proper grocery delivery services like Amazon Prime Now or AmazonFresh. You won't be able to skip visits to the grocery store entirely with Google Express, but it can be an easy supplement for when you run out of non-perishable items or household goods, and simply don't feel like going out. Aside from having a better selection of items from Costco available for delivery, it's hard for me to see any significant value added by Google Express that would make me shop there exclusively, especially when each individual store already has its own online shopping experience. It does offer a convenient shopping hub and payment option, though, that doesn't require you to have separate logins for different stores. Now that Google Express no longer charges a membership fee, it's a great back-up service for when you need something delivered a bit quicker than what a traditional retailer can offer. We're spoiled by Amazon's 2-day shipping, but many retailers still take over a week to deliver products, and Google Express can help shorten the wait time at no additional cost.